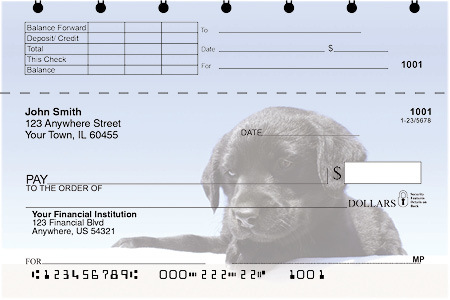 "Black Lab Puppies Top Stub Checks" product is already in your cart. 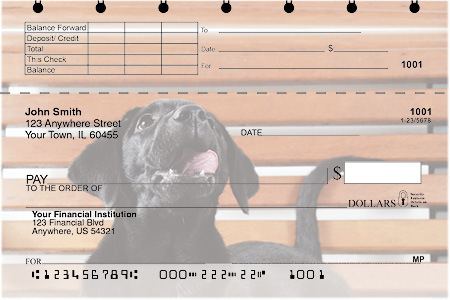 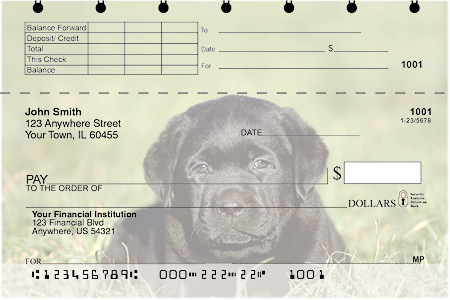 Cuddle up with our Black Lab Puppies Personal Checks and you will get an eyeful of these cute and fun loving pups. Descended from the St John's Water Dog which is now extinct, the Lab originated in Newfoundland and Labrador, Canada. 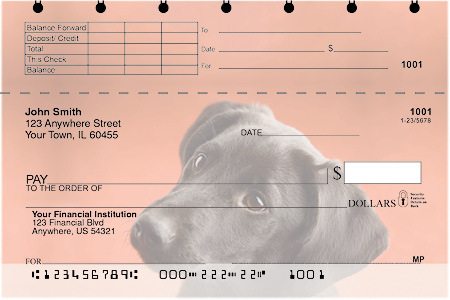 These large dogs are friendly, playful and great with children - which makes them a good pet for families.